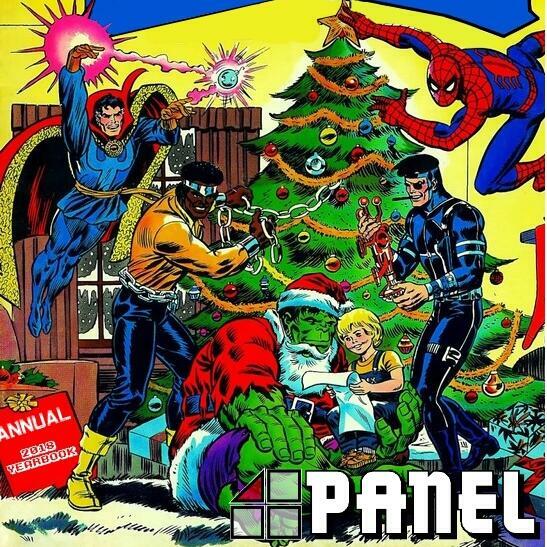 The 4-Panel gang are taking a break during Christmas and New Year's, but we've recorded some extra treats to tide you over till we return in January. On this first mini-episode the fantabulous (fantastic and fab were already taken), four of Andrew, Mick, Producer Rob and Editor Rob look back over the previous year to talk about the comics and manga that they've discovered. Some of the titles are surprising, others are less so as we've dropped some very obvious "hints" for months about how good some discoveries were. Anyway, we'll be back soon with more minisodes for you all to tuck into after you've broken all your new toys and TV is showing nothing but repeats. We'll see you then!